On 13 December 2010, a qualified majority of 23 EU member states (all but Spain, Italy, the Czech Republic, and Cyprus) agreed to implement a 'small' EU patent by way of enhanced cooperation (see earlier posting), based on a legislative proposal of the EU Commission (press release) basically adopting the EPO language regime (Art. 14 EPC), according to which the EU patent would be examined and granted (by the EPO) in English, French or German. Further, machine translations would be provided for the remaining national EU languages. According to this press release, the Legal Affairs Committee (JURI) of the European Parliament today gave its consent to the use of enhanced cooperation to create the EU patent, as proposed in the report prepared by the JURI committee's chairman, German MEP Klaus-Heiner Lehne (EPP), who decided to go ahead with the vote without waiting for the juridical opinion of the legal service (see yesterday's IPJur posting). Next, the Parliament's legal service is expected to publish their legal opinion on enhanced cooperation in teh beginning of February, so that the European Parliament can vote on the proposal mid February. The Competitiveness Council will examine the proposal on 10 March 2011. Due to a number of remaining unresolved issues, this fast-track approach has received quite some critisism. In fact, enhanced cooperation is a completely unusual procedure which has not yet been used for European core issues, such as internal market policy. Some observers say that with regard to vested interests of French and German industry, it is not a coincidence that Frenchman Michel Barnier (Internal Market Commissioner) and German Klaus-Peter Lehne (JURI chairman) are accelerating the process to an unprecedented efficiency record (see yesterday's EurActiv posting). In the course of the announced purchase of 822 Novell patents by CPTN Holdings LLC - a consortium of Microsoft, Apple, EMC, and Oracle - as a part of Novell's merger into Attachmate Corporation (see press release), the Open Software Initiative (OSI) lodged a complaint with the Bundeskartellamt (German Federal Cartel Office) against an announced "notified merger project", i.e. the request of the four software heavyweights to establish a patent consortium (see posting). CPTN has withdrawn their request a couple of days later for "procedural" reasons, rather than in reaction to OSI's complaint (see posting). this [patent] move strengthens the hold Microsoft has over its competitors, which could potentially harm consumer choice and increase prices. Is the Commission aware of this situation? If so, does the Commission believe there have been any infractions by Microsoft of EU competition laws? it appears unlikely that the proposed transaction requires a notification to the Commission under the Merger Regulation. Furthermore, [...] the Commission has currently no indication that the mere acquisition of the patents in question by CPTN Holdings would lead to an infringement of EU competition rules. Those complaints came down to indicating a dislike for patents and distrust for the companies behind CPTN Holdings. But they didn't raise any legal issues that would be specific to this deal. FOSS must find ways to deal with patents, and in fact, it already has. In particular, it must continue to find constructive and realistic ways rather than just insist that patent holders waive all rights. [...] If the FOSS side and the patent side are both reasonable, the combination of both works without problems. [R]ather than bang their heads against a brick wall and make all kinds of demands that no-one is going to take seriously, it makes sense for the open source movement to do just as Mueller suggests and to find an accommodation with patent owners. As he also warns, those elements of the movement that refuse to compromise will just end up making themselves irrelevant. One recent example of such pointlessly banging heads to wrong walls was the campaign against the USPTO's new Interim Guidance (see press release and earlier posting) for determining patent eligibility in view of the Supreme Court's Bilski opinion, in which the Free Software Foundation (FSF) almost desperately invited their followers to "encourage the USPTO to stop issuing software patents" by writing "to the USPTO [...] and tell them that their new guidance should include a strong stand against software patents". This dubious e-mail campaign was criticised by Müller (and patent attorneys) as a spamming strategy doomed to fail from the beginning, which immediately provoked agonizing questions among open source activists such as "Has FOSS lost the battle?" or "What is Florian's strategy?". Meanwhile, leading open source lobbying organisations OSI and FSF continue to fight the CPTN/Novell patent deal (their collaboration has been celebrated as "unprecedented" by OSI board member Simon Phipps), this time before the Antitrust Division of the US Department of Justice, which OSI/FSF tries to urge "to investigate the CPTN transaction thoroughly and consider appropriate remedies" by a joint position statement being essentially identical to the complaint lodged with the German FCO (see also reports on H blog and PCWorld). that "CPTN has all motives to launch patent attacks against companies delivering solutions based on [open source software]" (item 6). My guess is that this attempt to discredit the patent ecosystem and CPTN member companies by unsubstantiated allegations as to their "nefarious intentions" and aggressive motives will probably not urge antitrust authorities to act against the CPTN/Novell transaction. The celebrated "unprecedented collaboration to protect software freedom" may, however, turn out to be appropriate to obtain reasonable press coverage and to motivate existing and acquire new followers for the movement. Instead, it would have been a much better contribution for the open source idea to accept that patents are not a crime but a legitimate property right and business model and to better follow a more creative and collaborative agenda, e.g. an "if-you-cant-beat-em-join-em" strategy, as sketched by Eben Moglen, Chairman of the Software Freedom Law Center, in a LinuxCon keynote in view of the "Bilski shock" (see e.g. ArsTechnica), based on the old but pragmatic open patent idea, as implemented e.g. by the Open Inventor Network or the Open Patent Alliance. This would at least be an option to prevent that "those elements of the movement [...] will just end up making themselves irrelevant", as Joff Wild put it in his above-mentioned article. Even though up to now this blog predominantly reported on patent issues and IP politics, it is nevertheless intended to cover other types of software-related intellectual property as well. 1. 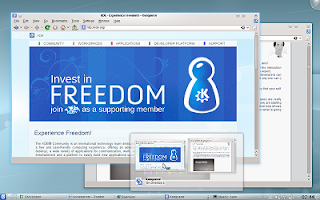 A graphic user interface is not a form of expression of a computer program within the meaning of Article 1(2) of Council Directive 91/250/EEC of 14 May 1991 on the legal protection of computer programs [the so called Software Directive, now replaced by Directive 2009/24/EC] and cannot be protected by copyright as a computer program under that directive. Nevertheless, such an interface can be protected by copyright as a work by Directive 2001/29/EC of the European Parliament and of the Council of 22 May 2001 on the harmonisation of certain aspects of copyright and related rights in the information society [the so called Copyright Directive] if that interface is its author’s own intellectual creation. 2. Television broadcasting of a graphic user interface does not constitute communication to the public of a work protected by copyright within the meaning of Article 3(1) of Directive 2001/29. As elaborately explained on the Bright Spark blog, the ECJ was exclusively discussing a GUI as an interface, i.e. as a means by which the user can interact with his computer. that the source code and the object code of a computer program are forms of expression thereof which, consequently, are entitled to be protected by copyright as computer programs (§ 34). Accordingly, the object of the protection conferred by that directive is the expression in any form of a computer program which permits reproduction in different computer languages, such as the source code and the object code (§ 35). It follows that interface does not constitute a form of expression of a computer program within the meaning of Article 1(2) of Directive 91/250 and that, consequently, it cannot be protected specifically by copyright in computer programs by virtue of that directive (§ 42). copyright within the meaning of Directive 2001/29 is liable to apply only in relation to a subject-matter which is original in the sense that it is its author’s own intellectual creation (§ 45). Consequently, the graphic user interface can, as a work, be protected by copyright if it is its author’s own intellectual creation (§ 46). When making that assessment, the national court must take account, inter alia, of the specific arrangement or configuration of all the components which form part of the graphic user interface in order to determine which meet the criterion of originality. In that regard, that criterion cannot be met by components of the graphic user interface which are differentiated only by their technical function. For more detailed information on and critical discussions of this matter you may refer to Hu'ko's blog (here, here, and here), the IPKat (here and here), or the 1709 blog (here, here, here, and here). Discussions and rumours have accompanied the announced purchase of 822 Novell patents by CPTN Holdings LLC for $450 million in cash in the course of Novell's merger into Seattle-based software company Attachmate Corporation (press release). According to a "notified merger project" (Ref. no. B5-148/10 of 06.12.2010; product market: "patents") announced by the German "Bundeskartellamt" (Federal Cartel Office), CPTN has been revealed as a joint venture of the four software heavyweights Microsoft, Apple, EMC, and Oracle (see report). As reported on this blog a couple of days ago, the open source community was so concerned about the patent deal that the Open Software Initiative even lodged a complaint with the Bundeskartellamt to "urge the FCO to investigate the CPTN transaction thoroughly and consider appropriate remedies to address the concerns raised" (see press release). As the latest twist, Microsoft et al. have now withdrawn their request to establish a patent consortium in Germany, which can be concluded from the words "30.12.2010 (Rücknahme)" [engl. "withdrawal"] that have been added to the announced "notified merger project" on the website of the German "Bundeskartellamt". 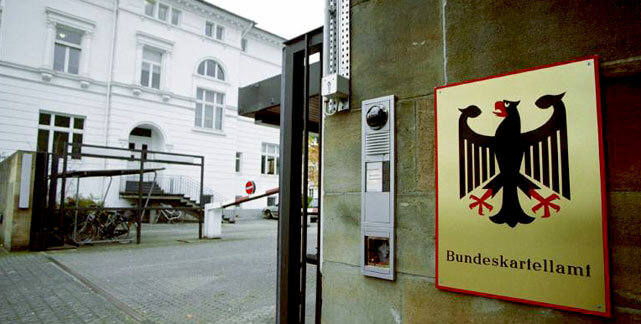 no reason was given for the withdrawal by German authorities, but it is likely voluntary as authorities would not yet have had time to investigate the proposal. CPTN Holdings still intends to purchase the patents, however. "This is a purely procedural step necessary to provide time to allow for review of the proposed transaction," a Microsoft spokesperson said in an e-mailed statement. [...] CPTN may have withdrawn the filing in order to make tweaks that would help it pass muster with European regulators and ease critics' concerns. In fact, Novell is being bought by Attachmate and the separate sale of Novell's patent portfolio to CPTN for $450 million was already agreed. With respect to the underlying "Patent Purchase Agreement", Andrew Updegrowe explained on the Standards blog that an Amended Proxy Statement pursuant Section 14(a) of the US Securities Exchange Act is "a comparative gold mine" for CPTN. UPDATE: While it was first concluded that the amendment of the "notified merger project" announced by the Federal Cartel Office would show that CPTN's plans to buy Novell patents have been completely withdrawn, the community has now realised that this was only a formal move, rather than the assumed "big win for open-source advocates". As confirmed by Microsoft employees on TechFlash and ZDNet, the withdrawal was merely a formal step to allow time for the Attachmate acquisition of Novell to complete and CPTN will still buy Novell's patents. A computer program is not a patentable invention. The Select Commerce Committee, however, considered an exception for "embedded" software but found it too difficult to define it in the bill, whereas the Ministry of Economic Development (MED) decided that machine-controlling software should be treated as a special class that may be patentable. It was then confirmed by Minster Simon Power that, while "further amendment to the bill is neither necessary nor desirable", the NZ Intellectual Property Office (IPONZ) was instructed to develop guidelines to allow inventions that contain embedded software to be patented, since it was accepted by the Committee and the Minister that companies investing in inventions involving "embedded" computer programs should be able to obtain patent protection for these inventions (see related posting). Apparrently, like other jurisdictions before, also New Zealand's legislation failed to clearly specify the distinction between patentable and unpatentable software in a bill ("to difficult to define"). Now, on 20 December 2010, the instructed executive authority (IPONZ) has issued draft guidelines that should ensure that (only) microprocessor-based products controlled by 'embedded software' are not excluded from patentability. Comments on the proposed guidelines can be sent to patentsbill@med.govt.nz until 11 March 2011. The draft guidelines clarify New Zealand's approach to statutory exclusions to patentability, based on political considerations according to which only "embedded computer programs" should remain patentable. The draft guidelines observe that there are similarities between certain provisions of the Bill and both the Australian and UK patent legislation. Specifically, the general requirements for patentability are similar to the Australian provisions, being based on a judicially-developed 'manner of manufacture' test, while the concept of an exclusion for computer programs is similar to the UK (or European) scheme. With respect to the desired exclusion of computer programs, the European Patent Office's approach to patentability, however, has been considered potentially problematical in New Zealand's context especially with respect to the required "technical effect" (this criterion is in fact inappropriate to exclude everything but embedded software), while substantial similarities between UK and New Zealand patent law have been recognised with respect to the statutory framework of the UK Patents Act 1977. What, if anything, the inventor has added to the stock of human knowledge. The so determined actual contribution must also observe the Australian "manner of manufacture" test, assessing that the claimed subject matter produces (i.) an end result that is "an artificially created state of affairs" in a "field of economic endeavour" and (ii.) a "physical effect", following Australian case law based on NRDC and Grant). the normal interactions between a computer and computer program would not be considered to be an invention if it did not produce a "physical effect" [...]. For the purpose of the granting of a patent for an invention which contributed to the stock of human knowledge, something more is needed for it to be a "manner of manufacture" if the writing of the data to the computer memory is the only "physical effect". fourth Aerotel step, asking for the technical character of the invention's contribution (manifesting the European idea of a technical invention), could be omitted, so that after determining whether a "physical effect" exists, there is no perceived need anymore for a further step of checking technical character. Solely falling within excluded subject matter: The draft guidelines explain that the third Aerotel step is intended to make sure that a computer program that falls within the exclusion from patentability cannot be rendered patentable by simply adding some non-excluded claim language, e.g. by structurally reciting the program as a component of an apparatus (wouldn't that be embedded software?). In fact, the IPONZ recognised that the UK Court of Appeal considered the "solely within excluded area" criterion comparable to the "as such" criterion of Art. 52(3) EPC and ("the third step is merely an expression of the "as such" qualification; see Aerotel/Macrossan, § 45). However, it is the central purpose of the EPC's "as such" criterion to, generally speaking, differentiate between abstract and conceptual computer algorithms and concrete implementations in a technical environment. That is, according to the EPC approach, a computer program can be guided out of the excluded "as such" area by adding technical details (which of course doesn't mean that the teaching is novel and inventive), as recently acknowledged in the G 3/08 opinion of the Enlarged Board of Appeal (see related posting). Similarly, one should expect that a computer program can be prevented from "solely [i.e. exclusively] falling within the excluded area" by adding appropriate non-excluded features, e.g. by sufficiently specifying a computer program as a machine-controlling (embedded) software. The IPONZ's related explanation under § 31 of the guidelines, according to which "it may be that the contribution does not fall wholly [solely] within the scope of the exclusion to computer programs, but may still be excluded for example, as a mere scheme or plan within the business context", appears somewhat odd to me, since a software-based business method would already be excluded as lacking a "physical effect" according to the adopted "manner of manufacture" test. Is the artifact or process new and non-obvious merely because there is a computer program? If yes, then it is excluded. Would the artifact or process still be new and non-obvious in principle even if the same decisions and commands were undertaken a different way? If no, then it is excluded. Is the computer program merely a tool adapted to achieve efficiency or something similar? If yes, then it is not likely to be excluded. Conclusion: In August 2010, I posted that "New Zealand allows patents on embedded software but fails to provide a definition". Honestly, I still cannot see how the IPONZ''s draft guidelines could possibly execute this political demand as an exception of the general legal provision that computer programs are not patentable in New Zealand. After all, claims on embedded software should be considered patentable according to the IPONZ's draft guidelines, since their actual contribution normally goes beyond that of a plain computer program, they exhibit a "physical effect" and they do not as a whole fall within the computer program exclusion of clause 15 (3A). My current feeling is, however, that there might exist numerous tangible technical software implementations that cannot be regarded as pure embedded software in the technical sense of the term but would nevertheless be patantable based on the suggested scheme. this will most likely exclude computer-implemented business methods and 'pure' data processing applications (which generally lack a 'physical effect'), as well as the automation or computerisation of known processes or devices (which lack an 'actual contribution' beyond the software implementation). However, it is not clear whether this approach will exclude novel processing of data that represents physical artifacts (e.g. image processing of MRI or X-ray scan data) where the only 'physical effect' may be in the quality or content of a computer display. We find this uncertainty to be of some concern. 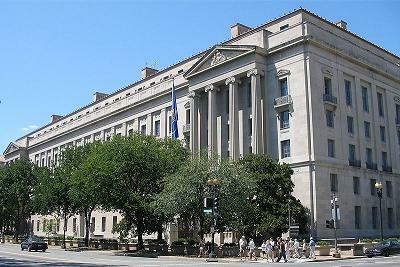 The guidelines were intended to cover the examination of patent applications for embedded software. How can they successfully do this when they don’t use the term “embedded” once? IPONZ guidelines have been ignored by the courts in the past because they have no official status. How much influence will the guidelines have in a court of law. 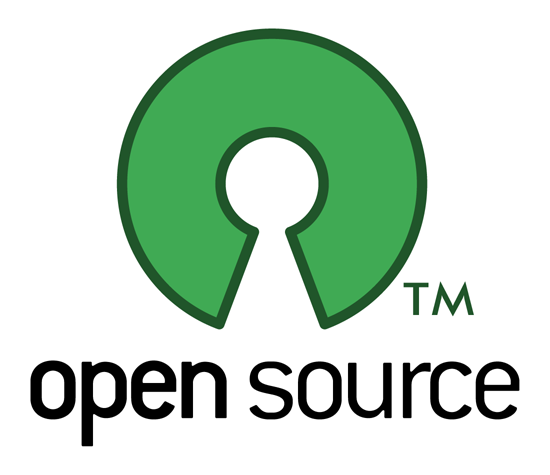 The Open Software Initiative (OSI) is a non-profit organisation whose mission is to "educate about and advocate for the benefits of open source" that is particularly concerned about 822 Novell patents that are confirmed to be sold to CPTN Holdings LLC for $450 million in cash, in the course of Novell's merger into Seattle-based software company Attachmate Corporation (see press release). CPTN Holdings LLC, which has first been described as a "consortium organized by Microsoft", turned out to be a joint venture of the four software heavyweights Microsoft, Apple, EMC, and Oracle from a "notified merger project" (Ref no. B5-148/10 of 06.12.2010; product market: "patents") announced by the German "Bundeskartellamt" (Federal Cartel Office, FCO), as reported on FOSS Patents. Like every patent issue involving names like Microsoft, Apple, or Oracle, also this deal receives much attention from the IT community. For instance, John Paczkowski of the All Things Digital blog found it "intriguing" and CPTN an "unusual alliance", while speculating that the - up to now undisclosed - patents relate to networking, virtualization and data center technologies. Apparently, a source inside one of the four companies told him that "it was essentially an alliance of convenience" and "it’s cheap defensive insurance". The last thing Microsoft wanted was for VMware [...] to have a major operating system to offer to its customers. [...] Instead Microsoft used Attachmate as a proxy to take Novell off the operating system chess board as an independent Linux company. At the same time, it retains enough direct and in-direct control of Novell and its intellectual property to put them into play if needed to put trouble into Red Hat, Android, or Ubuntu's paths. CPTN Principals have acknowledged that Linux and Open Source is a major threat to their business and have made hostile statements towards open source. Microsoft and Oracle both call out open source as a competitive threat in their most recent 10-K filings. CPTN principals have substantial market power in operating systems (Microsoft, Apple, Oracle), middleware (Microsoft, Oracle), and virtualization and cloud (Microsoft, Oracle, EMC). 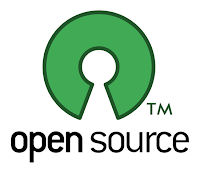 Open source is a substantial competitive threat in operating systems (Linux, Android), middleware (Apache, JBoss), and virtualization/cloud (KVM, Xen hypervisors). Will the CPTN principals decide strategically who will be offered which patents, thereby choosing amongst themselves who will be allowed to compete? And on what terms? Will the patents be sold to non-practicing entities (NPEs) which can create havoc for open source software without risking the adverse reaction of the market if a practicing entity were to sue directly? The creation of CPTN represents a MAJOR disruption to the competitive landscape. Whereas Novell was sincere in promoting and participating in open source software development and had an incentive to maintain their patent assets as a defensive portfolio, CPTN has all the motives and opportunity to do the opposite. That is, they have no incentive to support open source as a competitive alternative to proprietary software. CPTN creates a cover to launch patent attacks against open source while creating for each principal a measure of plausible deniability that the patent attack was not their idea. From theses statement it appears that OSI in fact requests the Bundeskartellamt to investigate both the "CPTN transaction" and "the creation of CPTN". Such issues, however, might not lie in the competence of the German antitrust authorities but rather might need to be handled on EU level by the Commissioner for Competition. the fact that Microsoft was leading the takeover of Novell’s patents was itself alarming to the open source community, but when it was revealed that Microsoft had recruited Oracle, Apple, and EMC to be co-owners of the patents, the OSI Board felt compelled to request that competition authorities take a closer look at the proposed transaction. this is a significant new step for OSI, who have not previously referred a matter to competition authorities. It reflects the changing emphasis for the organisation, shifting from a role focused almost exclusively on approving licenses to a more general role representing the interests of the open source movement. Taking positions on important issues internationally is a valuable counter-balance to the influence of computer industry trade associations, and I hope OSI will keep doing it. the receipt of all consents under other applicable antitrust laws, including the approval by the German antitrust authority, the Federal Cartel Office (“FCO”), under the German Act against Restraints of Competition in the version of 15 July 2005, as amended (the “ARC”). the prior closing of the transactions contemplated by the Patent Purchase Agreement, dated as of November 21, 2010, by and between CPTN Holdings LLC (“CPTN”) and [Novell]. In other words, it appear that Attachmate and Novell can only merge if the patent deal goes through (it also provides the funding for the merger), which in turn requires that OSI's complaint before the Bundeskartellamt will fail. On the other hand side, however, the patent deal may go through while the merger itself is blocked by antitrust authorities or fails for other reasons. [Novell] and CPTN will enter into a royalty-free, fully paid-up patent cross license for no additional consideration, effective as of the closing of the patent sale, with respect to all patents and patent applications owned or controlled by [Novell] and CPTN on mutually acceptable terms that are no less favorable in the aggregate to either party than the terms of any other patent cross license offered by CPTN to any other person (other than any member of CPTN or an affiliate of any such member). First, note that not only the 882 patents covered by the patent sale are covered. Instead, the parties will negotiate a cross-license to all of the patents, and patent applications, owned by each party. Next, note that if the Attachmate deal dies and the CPTN deal goes through, then the price Novell will have to pay to continue to conduct its patent-based business will be to license all of its patents to CPTN – for no additional compensation. The second interesting word is “cross license,” suggesting that perhaps CPTN will be holding patents in addition to those it purchases from Novell. If so, then Novell will in fact get something back in exchange for free access to the rest of its patents. The final term of note is that while Novell would get “most favored nation” terms with other licensees of CPTN, it would not necessarily get terms as favorable as the CPTN members.